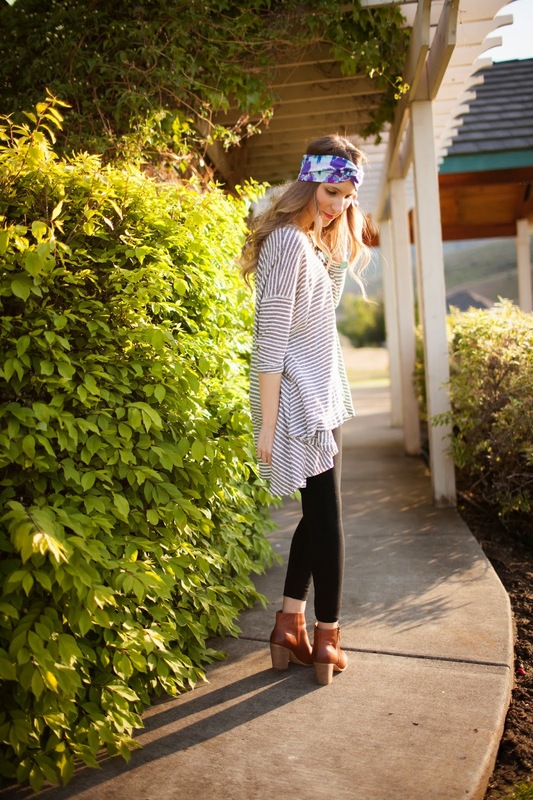 My favorite way to spend lazy weekend days is in oversized tee’s and leggings. This is such a cute and comfy look that can be easily accessorized if you decide to get off the couch and head out the door. I don’t know about you, but I just about live in leggings, especially in the fall and winter. In the winter, I definitely prefer them over pants, as I can easily pair them with dresses and oversized tees and cardigans to achieve the perfect layered look I always crave. My only problem is that I tend to buy really cheap pairs that are either A.) see through (AKA the fabric is ridiculously thin) B.) are ill fitting or C.) wear out really quickly. My typical favorites are from Target, but I went through at least 4 PAIRS this winter and they aren’t very thick. I’ve tried a few different options, but nothing seemed to fit all of the qualities I was looking for. Thankfully, my wishes have been answered, as this amazing pair of M Rena leggings from Shop Adorn recently made it’s way into my life and my days of thin, saggy, holey leggings are over. If you have this same problem, look no further. THESE LEGGINGS ARE AMAZING! Not only are they decently thick, with the perfect amount of stretch, but staying true to their name,’Tummy Tuck Leggings‘, these leggings are perfectly high-waisted and ridiculously comfortable. There is really nothing better than a high-waisted legging that are as comfortable as yoga pants but perfectly acceptable to wear out and about. I will definitely be purchasing a few more pairs of these…I’m obsessed and ecstatic over finding the leggings of my dreams! Check out Shop Adorn‘s M Rena collection for more amazing finds! A few more things I’m loving about this outfit? Top: This is my favorite top lately! I love how flowy and oversized it is. Oh and stripes?! Really you can’t go wrong! Turban: My love for Rayna Jaye turbans is out of this world. Remember this one from last year? The perfect fix to a bad hair day or the cutest addition to a top knot, I wear my turbans all of the time. 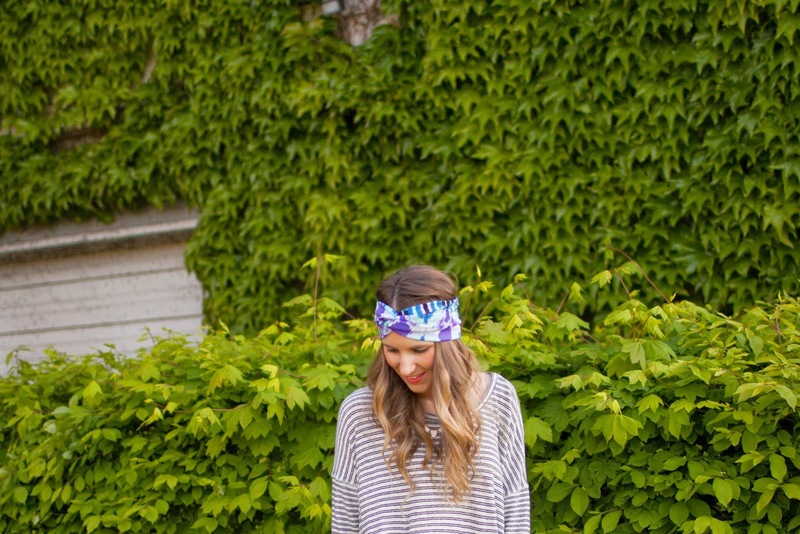 Check out Rayna Jaye’s shop and fall in love with her amazing turbans…they come in the cutest patterns too!! My next turban purchase? Probably this or this! Bracelets: The bangles are awesome. I’ve rarely taken them off since receiving them. There is something so fun about a big, chunky bangle and I’m in love with the way they look together! Lauren of Belle Vie Designs is seriously talented! Belle Vie Designs has the cutest bangles…is it bad that I want a few more to add to my arm party?? iPhone Case: Flamingos are having a total moment lately, so when I saw this case from Kidogo Kidogo, I was automatically obsessed! What’s even better than flamingos on your iPhone? The fact that by purchasing this case, one woman in Tanzania receives a mobile phone. This one for one program is amazing. 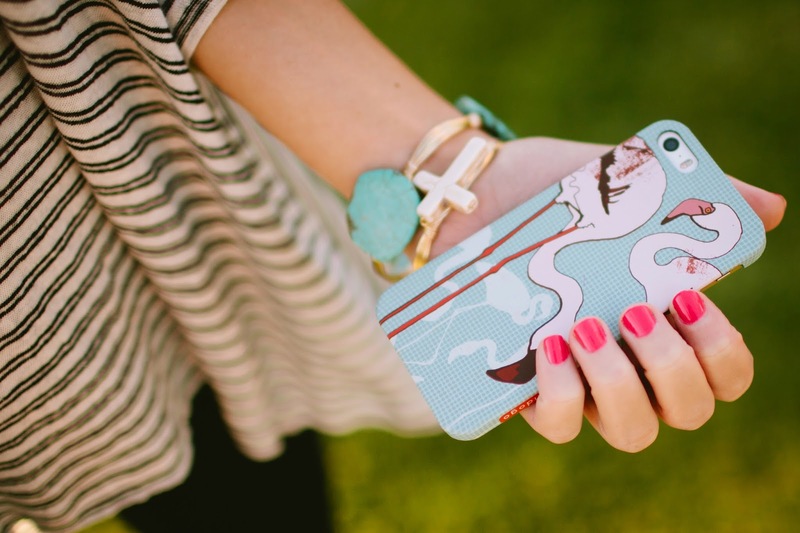 Find out more here and choose your case from a few different adorable designs to give back. I’m linking up with Lauren over at The Style Record today! Come stop by! Previous Post The Sunday Spot #25 – Chicwish and a Mary Kay Review! good below in order to help you to install, configuration and also kodi for pc need to hire the desired add-on the very first step is to configure Blend Installer nice.